The call for indefinite strike was made by Bihar Motor Transport Federation (BMTF) today. About 1.3 lakh trucks would go off the roads in Bihar from midnight tonight for an indefinite period to press its demand for amendment in laws affecting their operations and withdrawal of exorbitant permit registration fee. 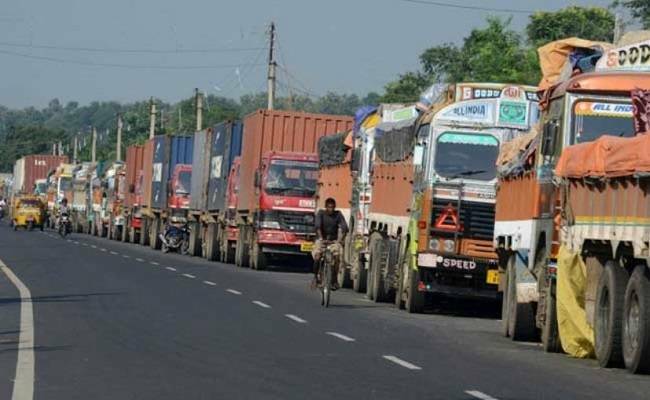 “About 1.3 lakh trucks across the state will come to a standstill from midnight. We had given a notice to the state government a fortnight ago that we may have to take this drastic step if our demands are not paid heed to. We are left with no other choice”, BMTF president Uday Shankar Prasad Singh said. Singh claimed, “we have received support from the All India Motor Vehicle’s Association too. We have also been assured by other state associations that their vehicles will not ply in Bihar until our demands are met”. “We also requested for an increase in the rates at which payment is made by the government to trucks used for carrying sand. At the existing rates, all truck operators are suffering heavy losses”, Singh said. “Besides, we sought a withdrawal of recent hike in the permit registration fee and and the Rs 50 per day fine slapped on vehicles that are not found up to the mark in fitness tests”, he said. The BMTF president claimed “we are exercising the option of strike as a last resort. We had met the Transport Secretary with our demands. We had personally met the Deputy Chief Minister and also written to the Chief Minister. We never wanted to take any action which would have put us in direct confrontation with the goverrnment”. Meanwhile, Joint Secretary, Transport, Anupam Kumar has said “we have called a meeting this evening to look into the issues on which the strike has been called. We will try to find a solution”.